The Lancaster YMCA Swim Team is an established YMCA and certified USA Swimming Team with over 40 years of tradition. 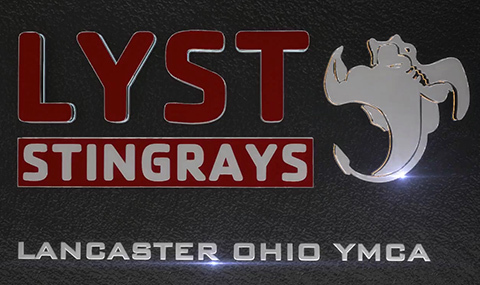 LYST has carried a very successful record over the past 11 seasons: Champion and Runner-Up Champion finishes consistently at our SEOWV Swim League Championship Meet, top 10 finish over the last 7 years at the Great Lakes Zone Championship Meet, and most recently in the Spring of 2019 placed 5th overall at the Zone meet. LYST has participated at the Long Course and Short Course YMCA National Championship Meet over the last 10 years with accolades such as Runner-Up Champion and National Champion as well as many finalists. We have proudly coached Olympic Trial qualifiers, Ohio High School Swimming State qualifiers and finalists, as well as Great Lake Zone Swimming Champions and numerous top three finishers. We have two pools at our facility which helps to offer ample training space for our team. Each pool is equipped with an ultraviolet system that provides healthier air and water quality. Our consistent coaching staff has no less than 10 years of coaching experience. We offer programs for all levels of swimming from beginners to National Champion aspirations. With great support from our YMCA, Aquatics Director, and LYST Parent Board, swimmers have ample opportunity to strive for their goals! GO LYST!